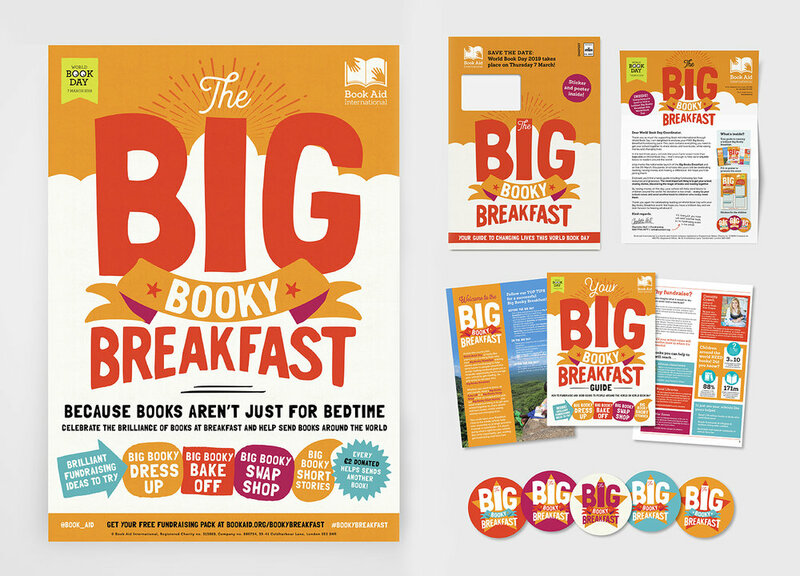 We were asked to come up with a brand identity for charity Book Aid International’s new campaign Big Booky Breakfast, running in schools this Spring in association with World Book Day. Our brief was to come up with colourful, bold designs whilst staying true to the charities’ identity. We absolutely love the branding we developed which is both impactful and engaging.